doing so, I need to make sure it’s as easy for them to execute as possible. We’re talking just-add-water type of easy. And that’s what I have for you today. 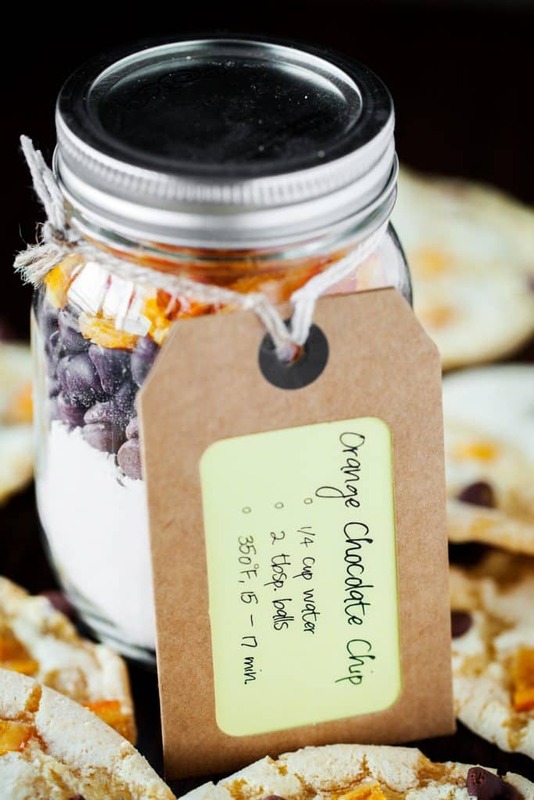 You start with one master mix, add some simple mix-ins, package them in charming jars and add a cute tag with simple directions. 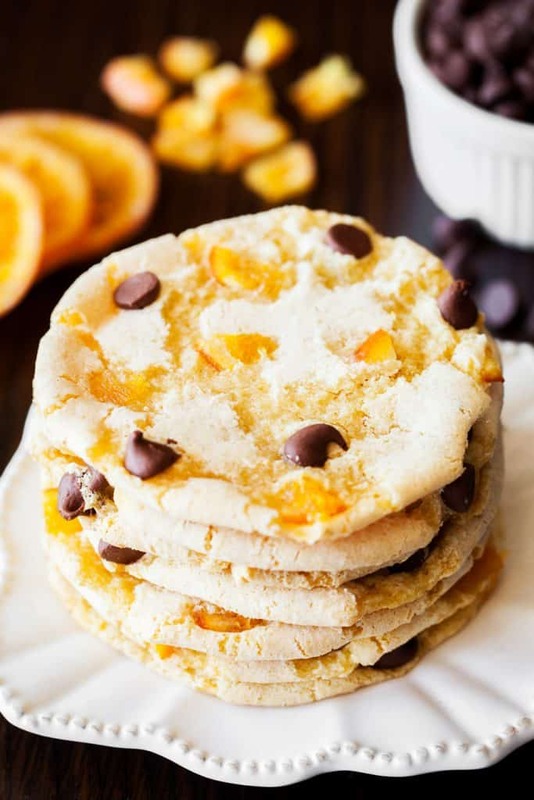 Orange and chocolate are an underrated combination, but I’m determined to change that; beginning with these orange chocolate chip cookies. 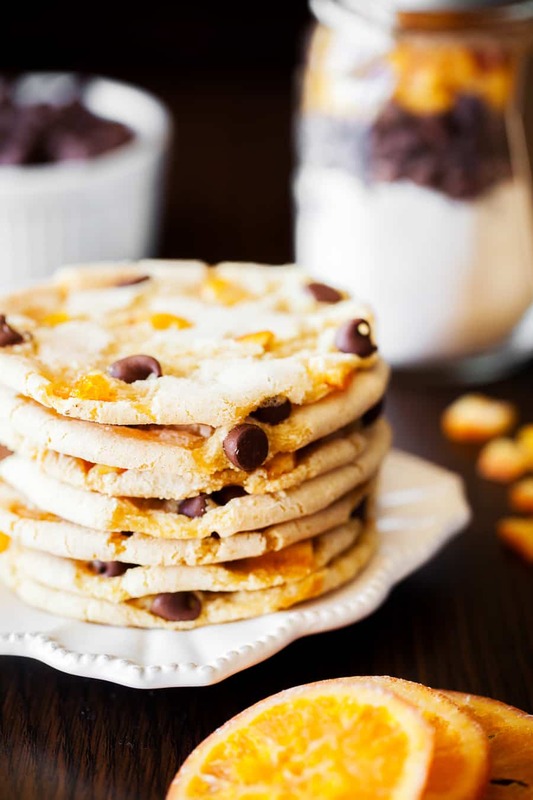 The soft and chewy cookies are studded with dried orange pieces and semi-sweet chocolate chips. One bite and you’ll want to spread the word too! 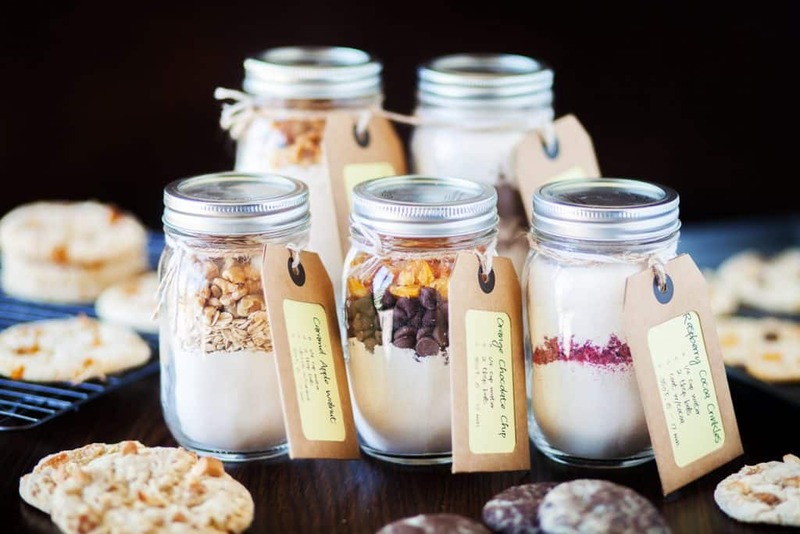 I love gifting homemade cookie mixes to friends, especially my baking adverse friends. Pre-heat oven to 350°F and line a baking sheet with parchment paper. In a large bowl, whisk together all of the ingredients. Stir in 1/4 cup water. Working with 2 tablespoons of dough at a time, roll into a ball and place on the prepared baking sheet 2- inches apart. Bake for 15 to 17 minutes. Let cool completely on pan. 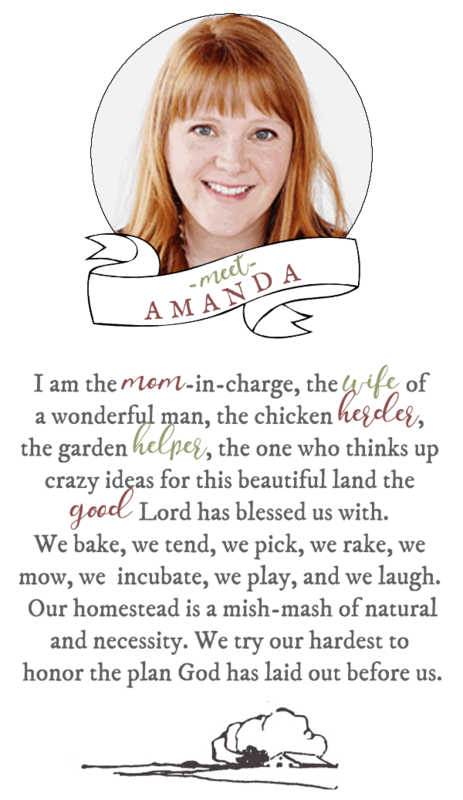 Adapted from Honeyville Farms. Photography by The PKP Way. 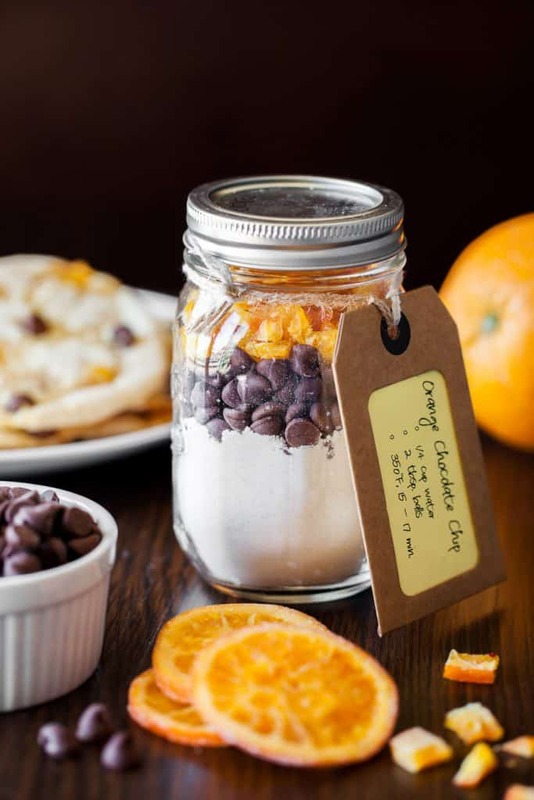 One master mix is enough to make about 10 quart-sized mixes. Make sure to check out all the different combinations! In a very large bowl, combine all the ingredients and whisk until thoroughly combined. Store in an air-tight container until ready to use. Do you dry your own orange pieces? 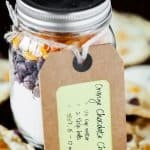 Or can I use commercial bought dried orange peel? 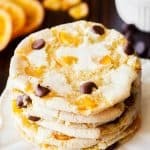 Is it possible to use orange zest instead of chopped up dried orange?